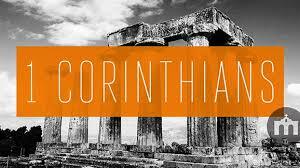 Sunday our church begins a new series in the letter of 1 Corinthians. To help get my mind around this book, I decided to summarize it in 16 tweets, the number of chapters later assigned to Paul’s letter. 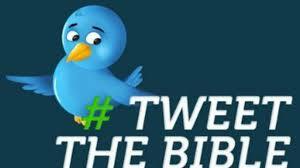 Full disclosure, most of the ‘tweets’ wouldn’t pass muster on Twitter’s current platform—most exceed 140 characters. Regardless of its twitter-accessibility, the exercise of summarizing each chapter served to clarify the main themes of this rich letter. I would highly commend it. (For a more twitter-friendly version of 1 Corinthians, see Jonathan Parnell’s, “The Book of 1 Corinthians in 40 Tweets“). Here are my 16 ‘tweets.’ Let me know how you might improve them. 1 — To the church of God in Corinth, be unified in Christ; let not worldly wisdom, position, or power cause you to forget the gospel which called you to life and binds you together. 2 — Brothers, you who have the mind of Christ, let your faith rest in the wisdom of God, namely the crucified and risen Christ and the instruction of the Holy Spirit. 3 — Brothers, stop dividing yourself and building with worldly wisdom. You are God’s temple; the Spirit dwells within you. Therefore, do not be deceived. Do the Lord’s work, in the Lord’s way. 4 — Beloved children, follow me in the way of the cross. The world beckons you to pursue vain glory by building yourself up. Jesus calls you to deny yourself and endure hardship, so God’s power might be seen. 5 — God is holy, but you are arrogant. Remove the sexually immoral brother from among you. For don’t you know God’s people must be zealous for purity. 6 — Christian, the Lord has washed you. You have been bought by Christ. You are not like you were, so stop acting like you once did. Do not take your brother out to court; do not bring sexual sin into the church. Walk in holiness; stop deceiving yourself. 7 — Now concerning marriage, I speak not with the commands of the law but as one who is trustworthy: in your body glorify God. If unmarried, you are uninhibited from total devotion; if married, your first priority is still the Lord; if burning with passion, get married; if abandoned, you are free. 8 — Now concerning food offered to idols: you are your brothers keeper. Love God by loving your brother more than your freedom to eat food. Knowledge is not a ticket to do as you please; it is a tool to build others up. 9 — True freedom serves others. 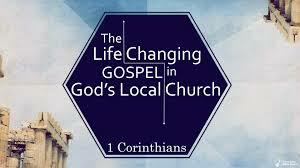 Those who burn for the gospel will refuse all personal privileges to ensure others receive the gospel. What rights are you claiming that hinder the salvation of others? 10 — God has graciously instructed us about the dangers of idolatry, therefore flee idolatry. He has also invited us to feast with him in the Lord’s Supper. Therefore, in all your eating and drinking, or in anything you do, glorify God. 11 — My brothers, I am torn. In one respect, I commend you for remembering me in everything. But in another, I rebuke you. Some of your women fail to honor their husbands, and this dishonors God. But worse, when you take the Lord’s Supper, you divide yourself. Is Christ divided? Examine yourself. Be united in Christ. 12 — Now concerning spiritual gifts, they are for the upbuilding of Christ’s church. In his body there are many members. Each are needed; each contribute. Do not despise any member of the body, nor elevate any gift above another. 13 — Love is the greatest gift. So test your love for one another: is it genuine? When miraculous gifts pass away, love remains. Therefore, in your pursuit of spiritual gifts, let love reign supreme. 14 — As for tongues, beware. Earnestly seek to speak truth in love (prophesy). Do not forbid tongues, but subject them to a battery of tests. For it is far better to prophesy than to speak in tongues. 15 — The power of the gospel is displayed in the resurrection from the dead– first in Christ, then in us. What the world cannot comprehend and even denies–life after death–stands at the center of our hope. Therefore, take heart. Christ has defeated death; abide in him, his work, his ways. 16 — Now concerning your contribution, be prepared to give, setting aside a portion Every week. There is great need in the Mediterranean and great opportunity. Don’t shrink back from the work of the Lord, but be strong in love as you labor with us. I hope to spend time with you soon. The churches in Asia send their greetings. Now go read 1 Corinthians and see if these match.